We’ve reached the month of May and the birthstone of this stage of the year is the Emerald. Read on to discover more information on this gorgeous green gem! Emerald is a variety of the mineral, beryl. Aquamarine is another example of beryl. The stone needs water and heat to form, meaning it’s a hydro-thermal formation. The green colour of emeralds is created due to traces of chromium present in the stone. It's very rare to find a flawless emerald so they are often enhanced. Oiling and waxing are just 2 of the methods used to hide the stones imperfections. India, Zimbabwe and Australia are miner sources of the natural stones. They have a hardness between 7.5 and 8 on the Mohs scale, which is somewhat high. We all know emeralds for their beautiful green colour. But they can range in hues from yellow-green to blue-green. However, only medium to dark green tones are considered emeralds. Light toned gems are instead known as 'green beryls’. It's said that the emerald green colour suggests the concept of eternity. It's also thought they the gemstones can enhance unconditional love, unity and friendship. Ancient Romans believed wearing emerald jewellery would renew the soul of the individual. 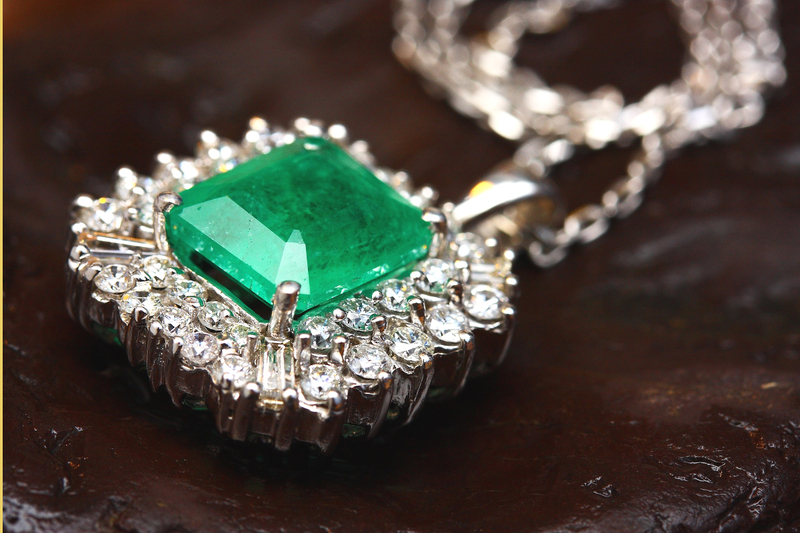 People believed wearing an emerald as a talisman would grant the wearer riches and power.